I have always been curious about what apps people keep on their phones because we all seem to rely so heavily upon them. What do they deem important enough and essential enough to have with them at all times? How do they use it to improve their lives? How can I learn from their methods? 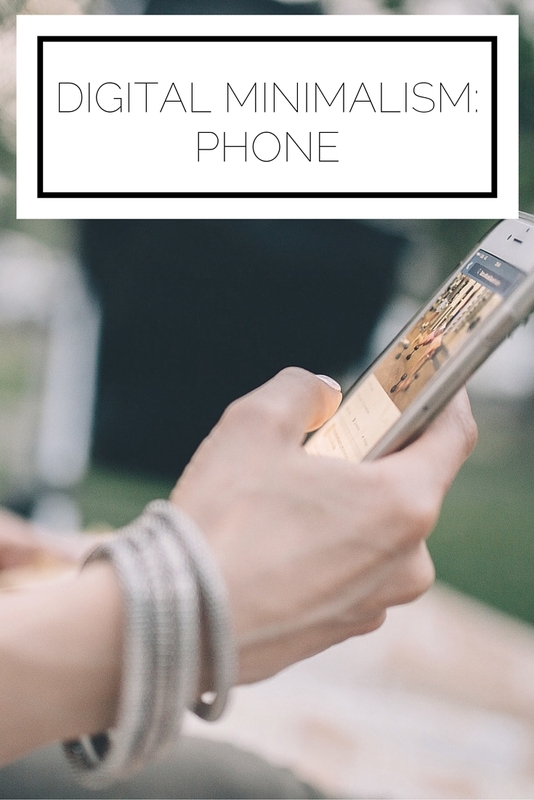 I've shared what's on my phone in the past (here and here), but now as I've embraced a minimalist approach to my technology usage I am more selective with what I keep on my phone. I'm going to share why I have the apps I do and also help you figure out what you need through asking yourself some questions. On the first screen I have the most used apps. Music as well as photos, camera, and weather are go-tos. Although I am able to wake up naturally, I still set an alarm just in case. I would be completely lost without maps and, obviously who can live without the app store and YouTube? VSCOcam is what I use to edit my Instagram photos after learning about it from a workshop with Hilary Rushford. Also, my darling friend Ally has the most AMAZING feed on VSCOcam that you have to check out! Aside from standard social media (follow me on Pinterest, Instagram, and Twitter!) I also have Groupme, which is a must when you're in college for connecting with people in group projects and organizations, as well as Wunderlist to keep track of my tasks. The bottom includes messages and phone (because that's what the device is originally intended for, after all) and Gmail and Calendar (two apps I absolutely cannot live without. Check out how to be a minimalist with your email and calendar as well). Calculator, Extras (which is just the apps that come on the phone I don't regularly use), AMC (to find out when Bollywood movies are playing, naturally), and Wells Fargo (for mobile banking). Blogger and Bloglovin' (because I'm, well, obsessed with blogging), Cartwheel (for some great savings at Target), and CVS (I can never seem to find my card so it's much easier to just have the app). Drive (which is where I back up all of my files and photos. Read about how to be a minimalist with your computer files and photos), Facebook, Gold Live (to obsessively check the price of gold...I'm pretty sure it's not healthy), and Goodreads (follow me!). Nike+ Running (it's great to keep track of your running progress and gives you motivation on your runs), LinkedIn (what young professional doesn't love this digital resume/networking tool/ cool kid social media? ), TCNJConnect (to access all of my school resources), and Music, including Spotify and Saavn. NYC Subway (I really can't navigate the city without this), Breathe (for meditating), and ADP Payroll (for my sales competitions). Two pages works well for me and I find it easy to navigate quickly. So how can you get to this point of phone bliss? Ask yourself these questions. What do I use most frequently? Be conscious of your phone usage for a week and see what apps you turn to again and again. For me, those are the apps I keep on the first page and on the dock. How long has it been since I've opened this app? If you have an app that you haven't used in a week or two, are you sure you really need it? I keep my subway navigation app, although I don't use it frequently, because it is useful, so there are exceptions. However, I would suggest that if you have apps you aren't using at least every two weeks, you probably don't need them. Don't be afraid to delete apps! Remember that you can always download them again, but I bet you won't even realize they are gone. As a minimalist, the goal is to only leave room for what adds value to your life and to be rid of anything which detracts; don't hesitate to make some cuts! What are your essential apps? 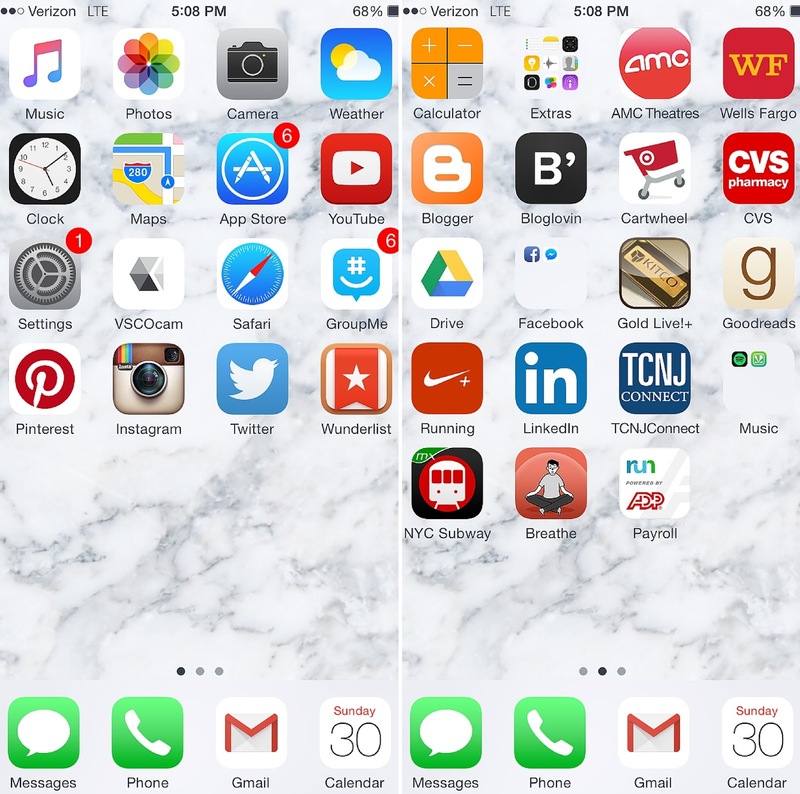 How do you organize your phone?